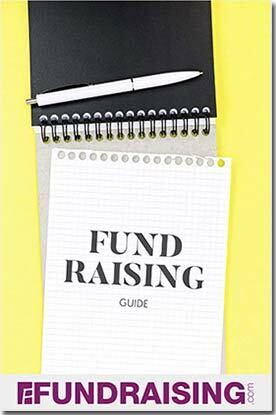 Online, or internet fundraising are sort of nebulous terms that mean different things to different people. In the most general sense, it means tapping in to the unlimited potential of the World Wide Web to reach a global audience to support your organization. Understandably, groups are drawn to this concept, but realize the limitations of an internet fundraiser. Unless your organization is addressing a unique global need (like relief for a specific disaster), you cannot reasonably expect the world outside of your immediate community or friends and family to care about it. That is not say that raising money online does not have it’s place – it does! Raising money on the internet is an excellent complement to your personalized money raising efforts. One of the better online fundraiser ideas is to open a “virtual mall”. To do this, you register with an e-commerce portal that specializes in fundraising. The site will have a number of “affiliate” online stores such as Wal-Mart, Target, Sharper Image, Office Max, Amazon, etc. Happy couple visiting your shopping portal. It’s super easy. You then urge all of your supporters to shop though the shopping site’s “portal” whenever they make purchases online. Your group collects a commission on all of the purchases they make. This is a very low-maintenance way to earn steady income from purchases your donors would be making anyway. There are a number of virtual malls and they all tend to work the same way. You can either participate for free, or you can pay a membership fee to participate. The difference lies in the commissions you make. Typically, a paying member of a fundraising e-commerce portal will earn twice the amount of rebates that a free member does. The membership fees vary from site to site, but tend to be in the $30 per month range. An internet fundraiser based on a virtual mall works especially well for schools, churches, scouts and other groups centered on children or their families. If you can convince your supporters to shop for their entire family online, your commissions could be substantial. payment. A well-crafted message sent via email directs willing supporters to a personalized online magazine store where they can choose from a long list of discounted periodicals, either to renew or to subscribe. Your supporters can also select from other products, such as flower bulbs and cookies, which means you can make even more money with no more effort. Internet fundraising will certainly continue to shift and change, but will always allow you to reach people you might otherwise miss in a traditional face-to-face fundraiser. Friends and relatives who live out of town genuinely want to help you if they can and this is an easy way for them to contribute. Just be reasonable in your expectations and don’t expect a bunch of strangers to offer their support except in very special cases. Focus the majority of your fundraising efforts in the community you serve. The people most likely to care about what you are trying to accomplish are the ones who are closest to you. Another variation on this theme is to create your own portal by creating your own website and funneling your visitors to your own links to reap the benefits directly.